Bee Nuts! 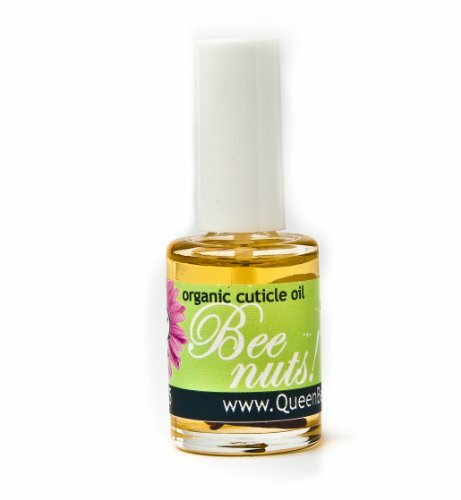 Organic Cuticle Oil heals redness and pain quickly. More than .5 oz in every bottle. 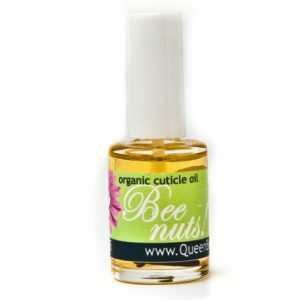 All organic nuts oils of macadamia, sunflower, almond, jojoba, and soybean oils steeped with cloves make up the moisturizing element of this lovely cuticle oil. Clove is a natural numbing agent (Eugenol), so it will help you forget those pesky cuticle cuts. It will nourish your nails and promote growth while healing the nasty little cuts. Comes in a half oz bottle which will probably last a year even with every day application. Thank you for making this number one on Amazon! We appreciate the bizzness. Highly antimicrobial and antibacterial. Great on bug bites too!